Reflector – there’s an app for that! 11 25th, 2011| Comments Off on Reflector – there’s an app for that! We’re really excited to announce the first of many Apps to be coming your way, The Barix Reflector iPhone app is now available for download from the App Store! The app enables Reflector customers to listen in to their station, check the status of all their registered devices, see stats for network performance and monitor the state of the encoder contact closures. Broadcast engineers on the go can stay informed! Watch this blog for announcements of other Apps! The Exstreamer 205, announced at the recent IBC trade show, is now in stock and available for order. Innovations on the device include a line level stereo input and a microSD card slot, making the Exstreamer 205 perfect for its Retail and Hospitality target markets. Music from a hotel guest’s iPod or phone can be played, or the user can select a radio stream to listen to. In addition, the Exstreamer 205 listens on a priority channel which means that it can be built into a facility’s emergency communication infrastructure, keeping guests informed in case of any incident. 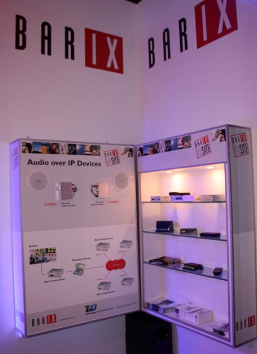 Barix IP Audio products produced high interest at the Mediatech trade fair in South Africa ! Our Distributor, Technology Innovated Distribution (TID) showcased a live Audio over IP link and the full range of products covering IP Audio, VoIP, SIP and IO device servers – all Barix products were on display. It’s this time of the year again … our long term content partner DMD2 has launched christmasradio.fm, an internet only radio station, streaming great music with a Christmas touch. Listen to it with your favorite Barix IP Audio player, the Exstreamer, or just use your browser. Wishing you a peaceful and good pre-christmas time. if you get to our website, you may notice that there is an invitation/button for live chat. We are currently experimenting with this, in an effort to improve our response to customers. 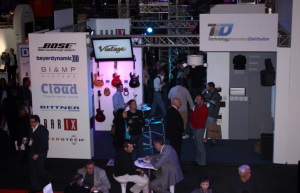 We know that our offering is broad and generic, about anything in the Audio over IP and a lot in Ethernet IO space can be done using our products. So .. it might be difficult to find the right information.